* Please Note: Please note that louvres or insets are required to complete installation. *Also Note: All fireplace doors and screens for factory built fireplaces are model specific. Please verify compatibility before ordering. 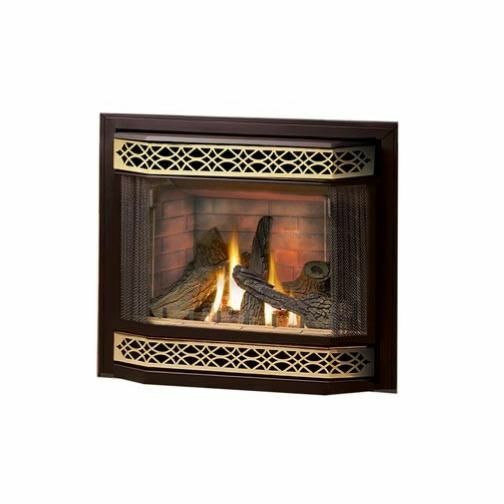 Enhance the appearance of your fireplace with this Napoleon Bay Front with Pull Screen and Brick Front. Complete with convenient pull screen and brick front, this bay door is sure to add an elegant accent to your fireplace. Suitable for use with electric and gas fireplaces.